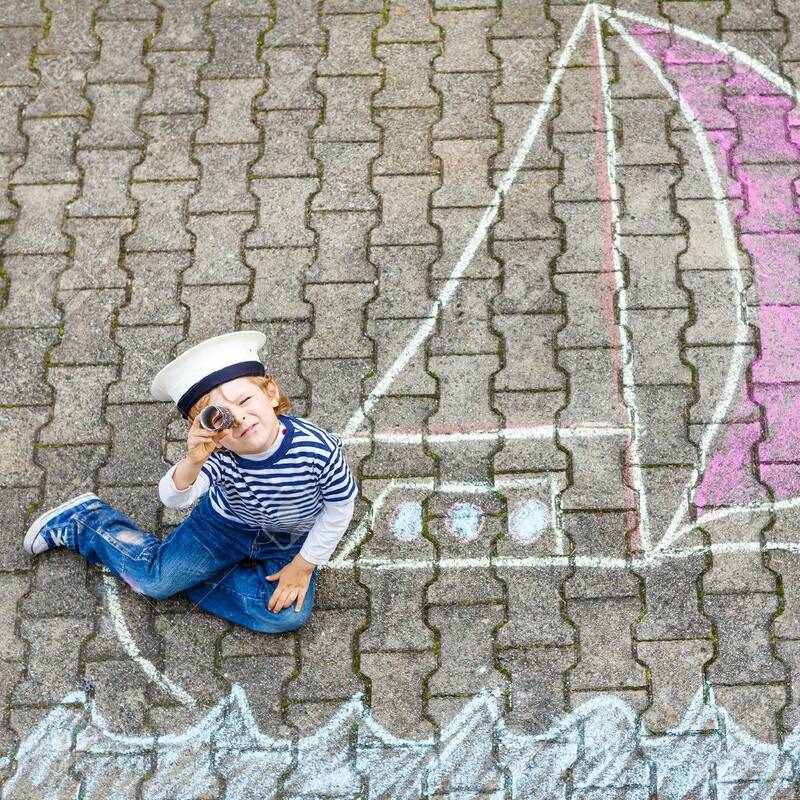 Adorable Little Kid Boy Playing With Colorful Chalks And Painting Ship Or Boat Picture. Creative Leisure For Children Outdoors In Summer Royalty Free Fotografie A Reklamní Fotografie. Image 40779182.